1.2.1.The Notion of Slang, Jargon, and Techspeak. 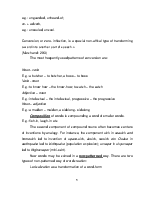 This paper deals with computerization as a source of lexical, syntactic-stylistic, and phonetic changes in Modern English language. It focuses on hacker’s jargon having its construction, stylistic peculiarities, and phonetic features as the target. 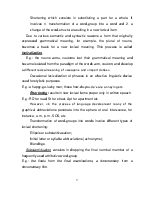 The scientific novelty of the paper lies in the attempt to systemize lexical, syntactic-stylistic, and phonetic changes, which are introduced by hacker culture to Modern English; to find out and describe particular features of hacker jargon; to analyse the correlation between basic hacker subcultures. A few hackers tried to analyze the language they use; the problem of hacker’s jargon is still a moot point. 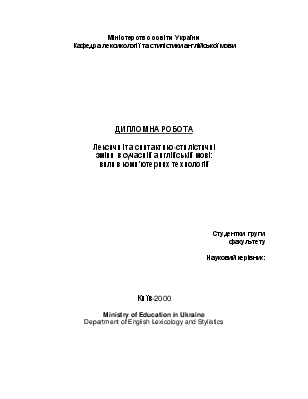 The theoretical value of the research lies in the fact that it is one of the first attempts to investigate the changes introduced to Modern English with the appearance of computers. We hope that the obtained data will make a contribution to the linguistic studies, especially to the pragmatic aspects of linguistics. The practical value of the work is in the opportunity to apply the data to the process of teaching English at university: to teach conversational English at practical English classes, at lectures on English Lexicology or Stylistics. The objective of the paper is to reveal and describe a set of lexicological, stylistic, and phonetic features of hacker jargon. 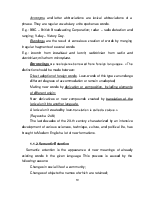 4) to provide pronunciation keys to the jargon. The investigation was carried out on the material of Internet. 25 sites in total introducing the peculiarities of hacker jargon were analyzed through the use of diachronic, synchronic, descriptive approaches, through some elements of distributional, substitution, and oppositional methods of linguistic analysis and with some elements of conceptual, linguostylistic, and sociocultural analyses included. The structure of the work is donein accordance with the general conceptual framework adopted. Part I of the paper dwells upon neologisms as a linguistic phenomenon, stylistic differentiation of Modern English vocabulary, the difference between slang, jargon, and techspeak, and hacker culture as a loosely networked collection of subcultures. 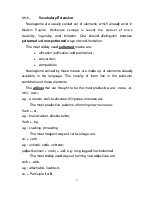 Part II presents tentative applications of basic approaches to hacker jargon analysis in terms of linguistics, semantics, stylistics, and phonetics. Conclusions contain the description of the major results of the research. No living language remains stable; its vocabulary is constantly growing and changing. Some words drop out of the vocabulary of a language with changes in the social system, with the growth and development of culture and technology. The object of our interest and investigation is neologisms. Many linguists have researched this phenomenon. New lexical units may be coined through « vocabulary extension and semantic extension. · borrowing from other languages. Semantic extension is the appearance of new lexical meanings of existing words.